Martin Bouchard received the B.Ing., M.Sc.A. and Ph.D. degrees in Electrical Engineering from Université de Sherbrooke (Sherbrooke, Qc) in 1993, 1995 and 1997 respectively. He worked in an instrumentation group at Bechtel-Lavalin in 1991 for the construction of the Lauralco alumine plant (now Alcoa, Deschambault-Grondines, Qc), and at CAE Electronics (Montréal, Qc) in 1992-1993 for firmware development in a flight simulator visual system. From 1993 to 1997, he worked as a research engineer at Université de Sherbrooke for real-time implementation of DSP-based adaptive digital controllers. From 1995 to 1997, he also worked as a DSP engineer and researcher for SoftdB Inc. (Québec, Qc), which he co-founded and which is still in operation today. In January 1998, he joined the School of Information Technology and Engineering (now the School of Electrical Engineering and Computer Science) at the University of Ottawa (Ottawa, On. ), initially as an Assistant Professor and later as an Associate Professor (2002) and a Professor (2008). He served as acting School Director for 12 months in 2005, as Coordinator of graduate programs in Electrical and Computer Engineering from 2001 to 2003, as the Associate Director of the Ottawa-Carleton Institute for Biomedical Engineering from 2007 to 2009, and as the Secretary of the Faculty of Engineering from 2007 to 2010. Since June 2011, Dr. Bouchard also served as Associate Dean at the Faculty of Graduate and Postdoctoral Studies, University of Ottawa. Dr. Bouchard was the recipient of the 2007 University of Ottawa Faculty of Engineering John V. Marsh Award for Excellence in Teaching. In recent years, Dr. Bouchard has conducted research activities with the Communications Research Center (CRC, Ottawa, On. ), DevBrio Inc. (Gatineau, Qc. ), IWatchLife Inc. (Ottawa, On. ), Siemens Audiologische Technik GmbH (Erlangen, Germany), SoftdB Inc. (Québec, Qc), Nortel (Ottawa, On.) and Bell Canada (Ottawa, On. ), and he has conducted consulting activities with Prospectair (Gatineau, Qc. ), THEM-Geophysics (Gatineau, Qc. ), Orica Mining Services (Brownsburg, Qc. ), Communications Research Center (CRC, Ottawa, On. ), and Lumic Electronics (now Cognivue, Ottawa, On.). He also served on the advisory board of Thunder Creative Technologies Inc. (Malibu, CA). 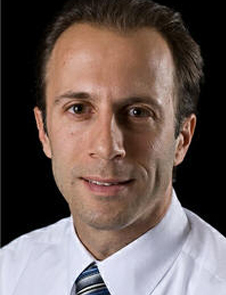 Dr. Bouchard has served as a member of the Speech and Language Technical Committee (SLTC, IEEE Signal Processing Society, 2009-2011), as an Associate Editor for the EURASIP Journal on Audio, Speech and Music Processing (2006-2011), and an Associate Editor for the IEEE Transactions on Neural Networks (2008-2009). He has also served as a reviewer for numerous journals and conferences. Dr. Bouchard has supervised over 30 graduate students and postdoctoral fellows, and he has published over 35 journal papers and 70 peer-reviewed papers in conference proceedings. Some of his current research interests are speech and signal enhancement (including PSD and AR model estimation, monaural and binaural noise reduction, beamforming, blind source separation), and high quality low-bit rate sparse coding of audio signals. He is a member of Ordre des Ingénieurs du Québec (OIQ), a Senior Member of the IEEE and a Full Member of the AES.